The big story in Sunday's Philadelphia Inquirer struck close to home, even from 1,300 miles away. Two financial guys are under investigation for enormous campaign contributions to various Treasurers of the Commonwealth of Pennsylvania who control billions of dollars of state money to be invested with whatever investment firms the treasurer deems fit. In this case, the state treasurer saw fit to turn that money over to firms recommended by the two financial guys who had just sent $150,000 each (on the same day) to the treasurer's campaign chest. Before that treasurer left office, she received $475,000 in contributions from the two financiers. This was back in 2000, but it was just the beginning of a pattern that went on for more than a decade involving various public officials. The financial guys are described as "finders," and their political contributions amounted to around $3 million over the years. The fees they received from the money managers who got contracts amounted to many millions more over the years, enabling the two men to enjoy satisfying lifestyles. We will not name the two financial guys; they have not been charged, and one of them is from our alma mater, which has never produced anything but saintly figures—unless you count a few sons of Mafiosos. The Inky (local parlance) revealed that an official already convicted has been wearing a wire for the feds for two years, taping conversations with one of the financial guys. If you are that guy, you really don't like to read that in the paper. It is all part of a federal "pay to play" probe in Pennsylvania, which has earned a rep as one of the leading states for that kind of corruption. Florida was not ranked in that category, but given the climate of the last few years, we surely deserve consideration. 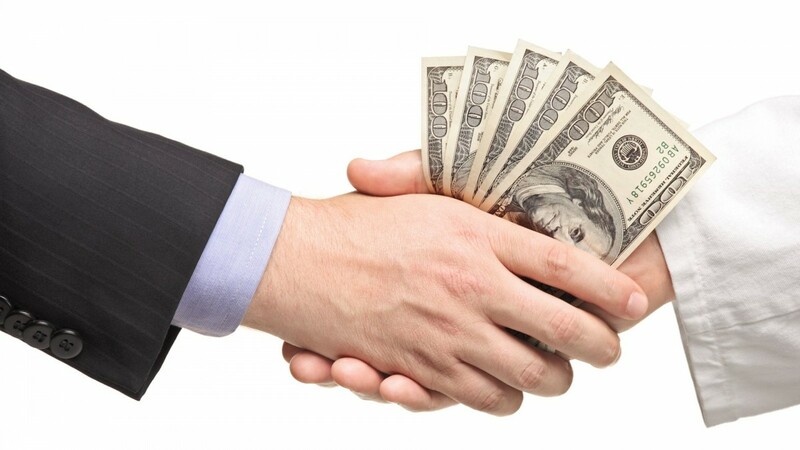 It appears that the feds are looking at the possibility of political contributions being considered criminal bribes. That should be welcome news on the Treasure Coast, where a movement is underway to have the authorities look into the massive contributions from Big Sugar, which have increasingly controlled state government and particularly influenced local legislators who ignore the people who elected them, with disastrous results for the environment. The important difference between the contributions in Pennsylvania and those in Florida is their impact on the state. Pennsylvania involves facets of government most people never think of—and are hardly affected by the legal bribery. In Florida, the contributions have produced environmental damage, which directly affects thousands of people, seriously damaging the economy of beautiful counties on both sides of the state and creating a health hazard for those who live and work there. Compared to Florida, the Pennsylvania corruption seems almost trivial. Our guess is that given the recent and totally predictable consequences of discharges from Lake Okeechobee, which the disaster named Gov. Rick Scott blames on the federal government rather than his own political hacks who have caused it, the feds have to take notice. Political corruption in Florida is worse than Pennsylvania. And if the feds are not on this case already, they should be.